Little Mix’s Perrie Edwards revealed that working on her group’s new album, Glory Days, was very therapeutic for everyone involved. This may partly refer to their first single, Shout Out to My Ex, which is rumored to target ex fiancé Zayn Malik after he dumped her earlier this year. Perrie – who is currently dating Luke Pasqualino – has yet to open up about the new single’s lyrics, but insists the recording process was cathartic as a whole. When asked about the new controversial single, the other girls – consisting of Jesy Nelson, Leigh-Anne Pinnock and Jade Thirlwall – stated it is simply about many past partners. However, many are speculating it is primarily about Zayn, as he had reportedly broken up with Perrie through text messaging. “It’s about everyone’s exes. Everyone’s got an ex,” said 25-year-old Jesy. 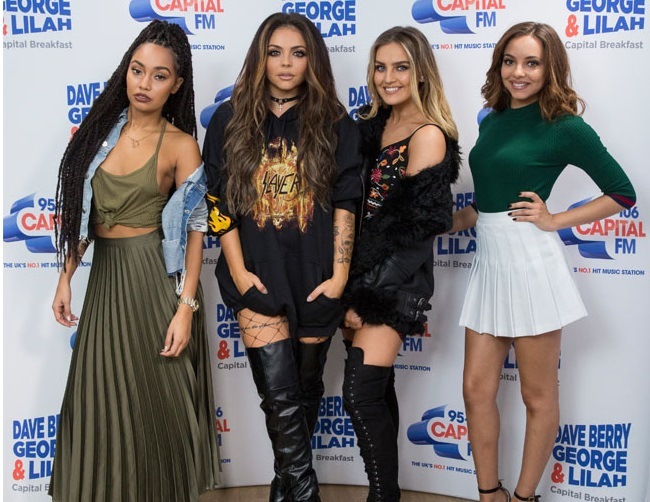 Little Mix – who performed the new song on The X Factor results show this past Sunday – also shared some tips for managing a breakup.